If your son or daughter wishes to study abroad, we think it’s a good idea for you and your potential international student to seek guidance together. At Canadian Sports Business Academy, we believe cooperation between school, parents and students is the key to success. Studying abroad brings about many questions and concerns about security, future employment opportunities, program content and local support systems. First, we start by helping your family clarify the purpose of studying abroad, which is important in making sure that our content matches your needs. Then we begin to fill in the blanks. While few students have serious problems with homesick or language study, it can be a concern. We address those issues in our guidance counselling sessions to ensure that students understand how they are supported while studying at CSBA. Regardless of the location of study, students in Japan or Canada require career advice, daily life guidance and employment assistance. However, in studying abroad these issues become a little more challenging, that’s why CSBA works hard to ensure that every student succeeds. Support for our students is a high-priority. To make that happen, we must encourage staff, students, and parents to cooperate in giving the students a great international education. Our philosophy is to learn English from a place of curiosity, because of this we aim to improve practical English abilities inside and outside of the traditional classroom. 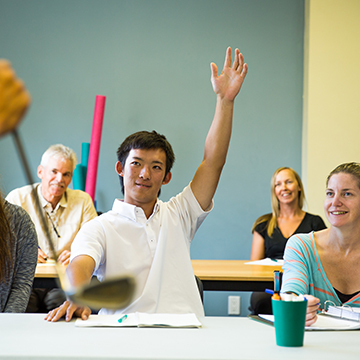 Through sport and tourism, CSBA features a curriculum that motivates students to learn English naturally within an English-speaking environment. Whistler, Canada is home to a surprising number of world class sporting events. From the 2010 Winter Olympics to Ironman to Crankworx, many top athletes gather to train and compete in their favourite sport. 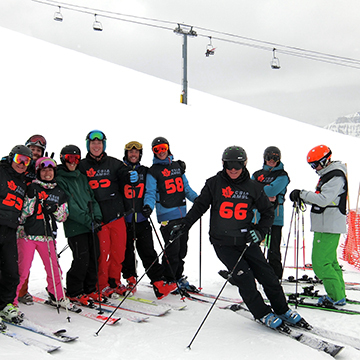 CSBA students are given the opportunity to use the same ski hills and golf courses, as well as, participate in lessons and events alongside their favourite athletes. CSBA isn’t the only place to learn while in Canada. Students will have the opportunity to take certifications outside of the CSBA curriculum. These courses offer practical learning in the field. 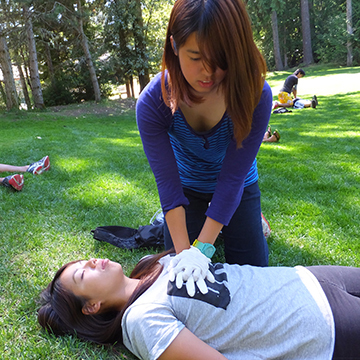 Each organization that we work with provides a national or international standard in topics like first aid, avalanche safety and sport instruction. 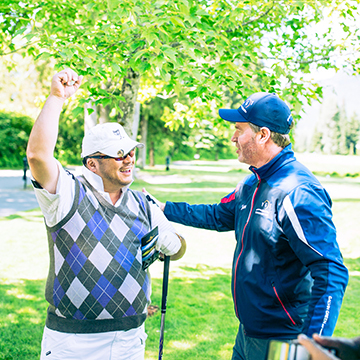 We look for instructors with the highest qualifications, and choose former world-class athletes or leaders at the top of their field. Canadian lecturers can be difficult to understand in the beginning, so we have Japanese language coaches enrolled in each program. We hope to provide assistance in translating the technical information needed to improve your sport technique, while ensuring that you are still practicing your English skills. In addition, we have trainers who focus on improving your physical condition and help you to reduce injury risk or help you recover from injury more quickly. Whistler offers two ski resorts in one. In the winter season, the powder is plentiful and downhill courses can measure up to 10 kilometers in length. And, there is a terrain park dedicated to freestyle that nurtures the novice to expert skiers and snowboarders. In the summer season, you can find hundreds of activities on the mountain and in the valley. Students can try the mountain bike trails (downhill or cross-country), skateboard park, champion golf courses, tennis courts, ice skating rink, training gym and many other activities in the lakes and forests around Whistler. Ten years after its establishment, CSBA has more than 20 host families in the Whistler area. Our program is well understood by our host families, which means that we have an environment where students can concentrate on studying. Even if you cannot speak English, CSBA can assist you with your homestay to help you develop a bond. We also provide emergency translation should a student need to provide the host family with important information, or vice versa. In studying abroad, you have the chance to learn about Canadian history, culture and customs. Canadian people are welcoming, and you will have many opportunities to learn English outside of the classroom. Life in North America is unique, and yet a great introduction to the rest of the world. Canada is a stepping stone to creating a future that you can call your own.